The Second Coming of the Lamb of God is an interesting topic indeed so lets get straight into it. Did you know that many churches in the world universally believe and promote that the manner of the Second Coming will be by a secret rapture? They believe that Jesus will come secretly to take the righteous into heaven, but the wicked and those left behind on earth will be given a second chance within a period of seven years to repent and be saved. According to this view, the coming of Jesus will be in two separate events. First, He will come secretly to take the church to heaven, and then, seven years later, He will come again in an open demonstration of power and glory. 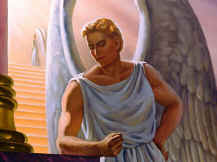 In between those two events, the Antichrist is supposed to come into power and the great tribulation period take place. But the truth is that the Bible nowhere speaks of these two separate comings of the Lamb of God. So what does the Bible say about Secret Rapture? The Bible warns us that Satan will try to impersonate the Lamb of God and counterfeit His Second Coming. Satan's deceptions will be so convincing, that even the elect of God will be deceived. So where is the idea of a secret rapture coming from? As with all of Satan's deceptions, the Second Coming by a secret rapture theory, is based on two main Bible verses which are taken out of context. The first one is that the Lamb of God will come as "a thief in the night." The secret rapture theory assumes that the Second Coming will be secretive, to steal away the righteous and carry them quietly to heaven. 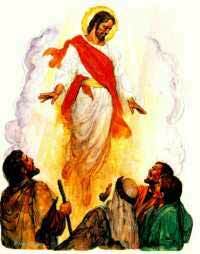 The Second Coming of the Lamb of God is described as "a thief" several times throughout the New Testament. Let's look at these passages and see if it describes a secret rapture. Does that sound like a secret rapture to you? In describing His Second Coming as a "thief", the Lamb of God did not intend to show that His Coming would be quiet, but that it would be sudden and unexpected, the wicked are surprise. He said, ". . . if the master of the house had known in what hour the thief was coming, he would have watched, and not have left his house to be broken through. Be ye also ready: for in an hour that ye think not the Son of man cometh". Luke 12:39,40 (ASV). Paul also told the Christians in Thessalonica, "But ye,brethren, are not in darkness, that that day should overtake you as a thief." 1 Thessalonians 5:4 (ASV). God does not want His followers surprised. He wants us to be watchful and ready. The second misinterpreted text used to support a "secret" Second Coming is in Luke 17:34-36 (Web): "I tell you, in that night there shall be two men in one bed; the one shall be taken, and the other shall be left. Two women shall be grinding together; the one shall be taken, and the other left. Two men shall be in the field; the one shall be taken, and the other left." Secret rapture proponents say this passage proves the saints will suddenly disappear from the earth when the Lamb of God returns. But let's take an honest look at the evidence and see what these verses teach. In Luke 17:34-36, Jesus is saying there will be just two groups of people living on the earth, the lost and the saved. A bed implies sleep, and Jesus used sleep as a symbol of death. We know this because He said to the disciples, "Our friend Lazarus sleepeth; but I go, that I may awake him out of sleep." "Then said Jesus unto them plainly, Lazarus is dead." John 11:11, 14 (Web). At the Second Coming (the last day), there will be two kinds of people sleeping in the grave, the lost and the saved. Two women grinding together. In Bible prophecy, a woman is a symbol of a church (Jeremiah 6:2). Grinding grain (or seeds) represents working with the Word of God. Why is the devil pushing the secret rapture theory vigorously? The devil knows about the Second Coming and that his time is short (Revelation 12:12). He has been sharpening his skills of deception for 6,000 years, and his last all out effort will be his masterpiece. One day soon, Satan is going to try to impersonate the Lamb of God Himself. And Jesus warns that he will do such a convincing job that, if it were possible, even the elect deceived. "For false Christs and false prophets shall rise, and shall show signs and wonders, to seduce, if it were possible, even the elect will be deceived." Mark 13:22 (Web). Satan is not an ugly creature running around in a red leotard with a couple of horns sticking out of his head. He is a beautiful and powerful angel. And the Bible makes it clear that he is able to transform himself in many different forms. The devil also has the ability to create bogus miracles. He is in the business of deception. And we know that he is saving his greatest deception of all for the last days. 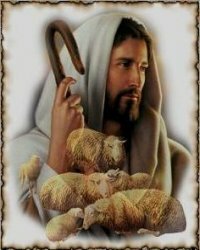 We need to know about the manner of the Second Coming of the Lamb of God, or we will be deceived. The Bible is clear that when the Lamb of God comes back, His feet never touch the ground. 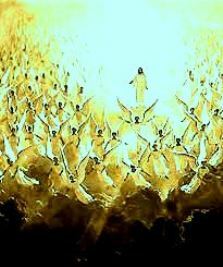 It says the righteous will meet Him in the air (1 Thessalonians 4:17). "Therefore if they say to you, 'Look, He is in the desert!' do not go out; or 'Look, He is in the inner rooms!' do not believe it. . ." Matthew 24:26, 27, NKJV. Satan cannot reproduce the real Second Coming. But if he can seduce Christians into believing the secret rapture theory, he won't have to. He can simply show up around the world in various places, perform great miracles, appear on TV, and deceive the entire world. The Satan has always wanted to be god. His last gesture against heaven will be to impersonate the Lamb of God and receive the worship of all those who have been deceived into believing that there will be a SECRET RAPTURE. Beloveds of GOD, do not be deceived. Do you desire healing? Come write it down so we can agree with you in prayer. You can always return to this page by clicking on the “Horizontal navigation tab” at the top of the submission page called “Healing Commentaries”.